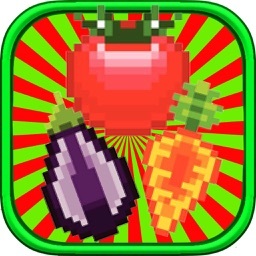 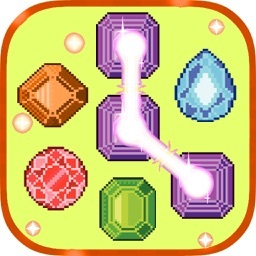 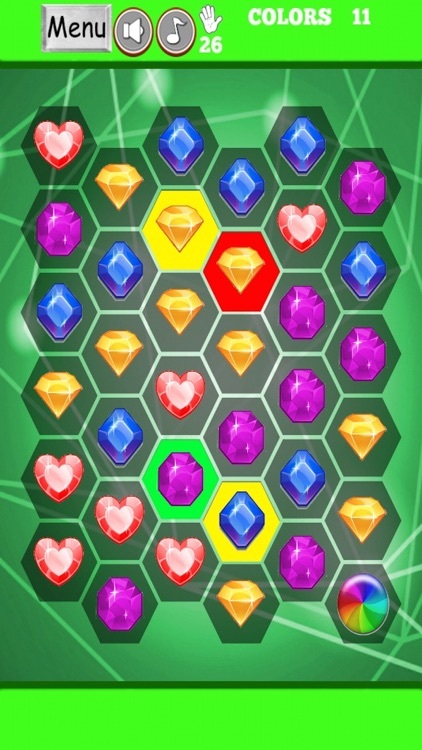 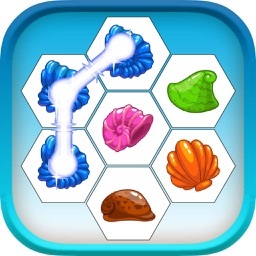 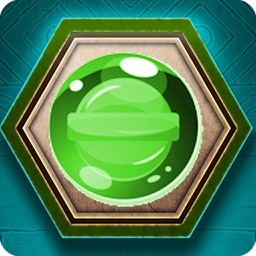 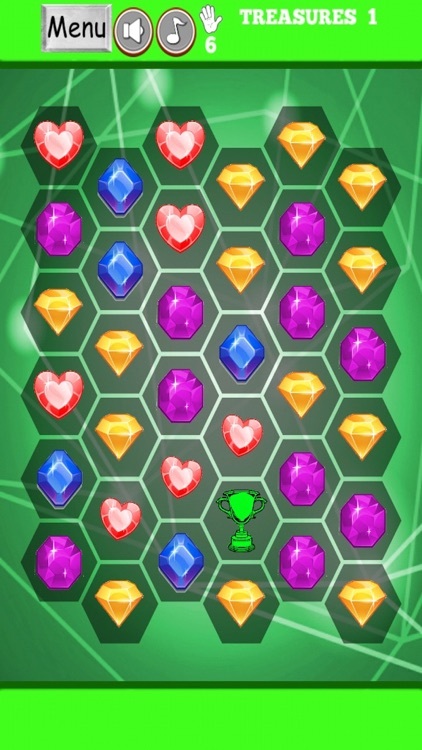 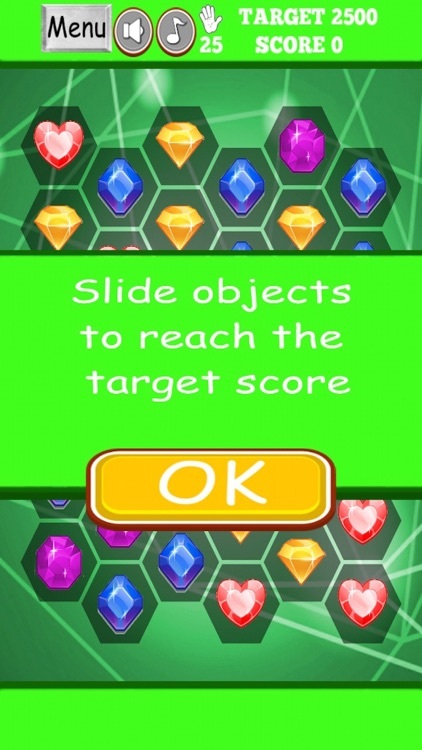 Slide your finger through the gems to combine them and complete missions. 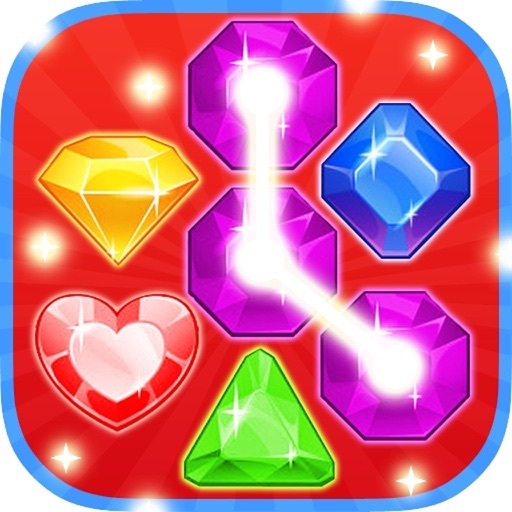 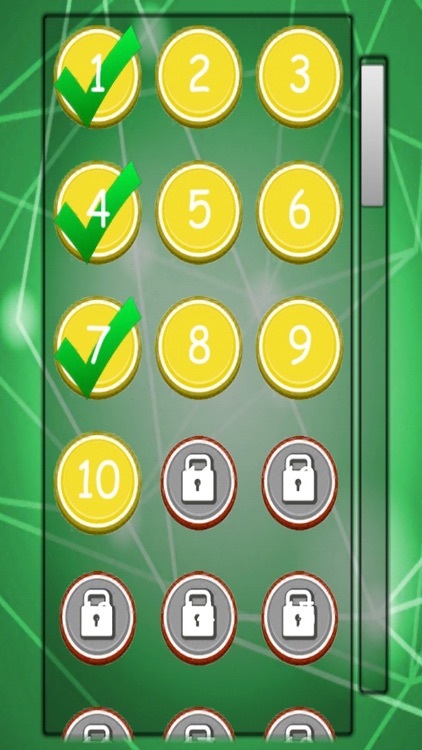 Each level shows a different challenge to be completed, like get the points, collect specific number of gems, remove color tiles, get trophies to the bottom. 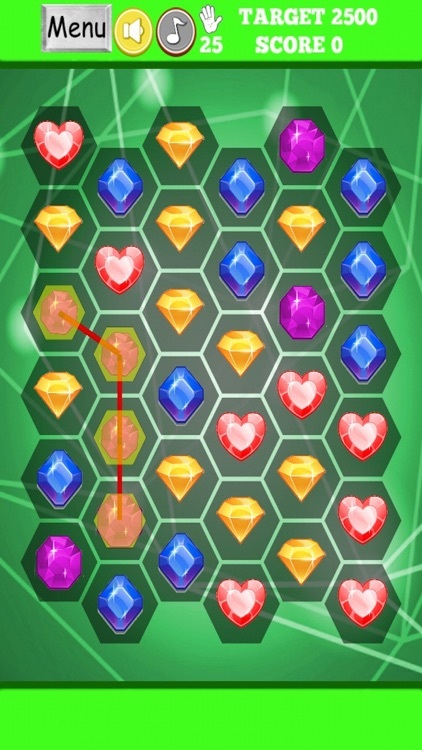 Be fast when the level is based in time and when the level is based in number of movements, calculate exactly what movement will be the best.